SPOILER WARNING: This article contains spoilers for The Flash #47, which is on sale now. Five months after the official prelude in The Flash Annual #1, “Flash War” has finally arrived with The Flash #47 by writer Joshua Williamson, artist Howard Porter and colorist Hi-Fi — and things are looking… well, a little dicey for the fastest family in the DCU. 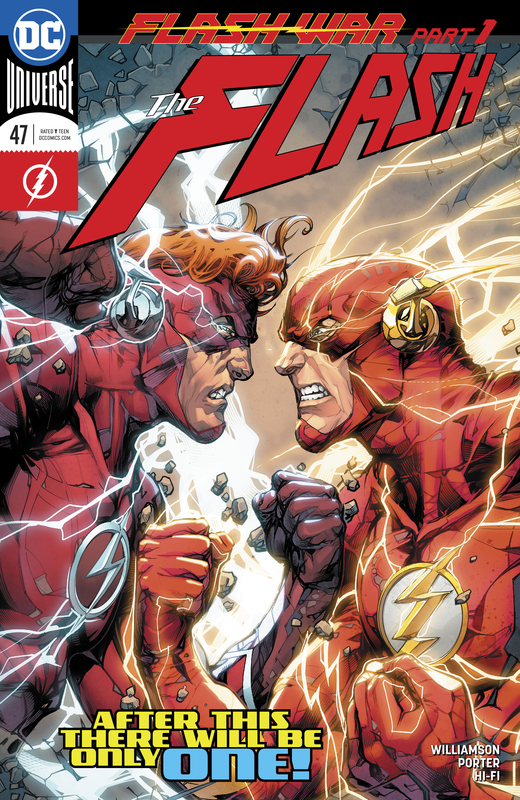 With Barry and Wally’s simmering ideological conflicts in the wake of “Perfect Storm” reaching a boiling point and the machinations of a previously unseen villain manipulating things from afar, there is trouble coming for Central City’s past and future. But never fear — we sat down with Williamson this week to get the inside scoop on the potential consequences of DC’s two Scarlet Speedsters coming to blows, and some hints as to what may come after. CBR: So we’ve talked about “Flash War” a few times before, but I feel like reading issue #47 really put a whole new spin on what I thought the story was going to be and, with that in mind, I really, really want to talk more about Hunter Zoloman here. Take me back to the beginning of your ideas for Zoom in this story. Joshua Williamson: Zoom is one of my Flash villains, “Blitz” is one of my favorite Flash comics of all time and to me — so, at the end of Flash: Rebirth , there were always a couple of little things that bugged me. At the end of that series there’s a moment where Hunter is talking to Eobard and he’s like “oh, let me make you better.” And we never really knew where that was going and I was always so curious about that. It was weird, this was really a bunch of mini pieces of ideas that I had that all came together. I was reading “Dastardly Death of the Rogues,” and the Judge is there — and both the Judge and Commander Cold say things that are kind of similar to what Hunter is always saying. And Commander Cold actually says to Barry in that story that, essentially, you have the power to go back in time and fix things and you just don’t, and that’s not good. And I was like “…this is what Hunter always used to tell Wally.” So I was looking at this again, I was like “oh man, the Judge is Hunter.” So then it became a game of figuring it out, how did this happen? Hunter, in this story is just Hunter. He’s pre-Flashpoint Hunter Zolomon, he was grabbed by Eobard at the end of Flash: Rebirth, when Eobard escaped everything, he took Hunter with him to the future — and because they were in the timestream when everything changed, Hunter remembers everything. He knows what happened. And because he was in the future, he was able to study the Flash Family and studied what was coming, and realized that we need The Flash to be The Flash he always wanted him to be; The Flash needs to be the ultimate hero. He talks about that in his first appearance, like to be the ultimate hero you have to experience the ultimate tragedy, and he’s realizing what he can do to get the Flash where he needs him to be. Hunter thinks we need to have a Flash who is The Best Flash and ever since then he’s been doing things to figure out how to make that happen, which is where we start off here. He’s like “oh, I know how to make this work. I know how to get where I need to go.” He’s been manipulating stuff in Flash books for a while now. He’s taking advantage of the fact now that Wally is remembering these bits and pieces of pre-Flashpoint history. He’s taking advantage of Barry being Barry. Barry is absolutely the type to go back and make a change, right? He’s done that. We know that. Barry would always do this thing that Wally wouldn’t do. 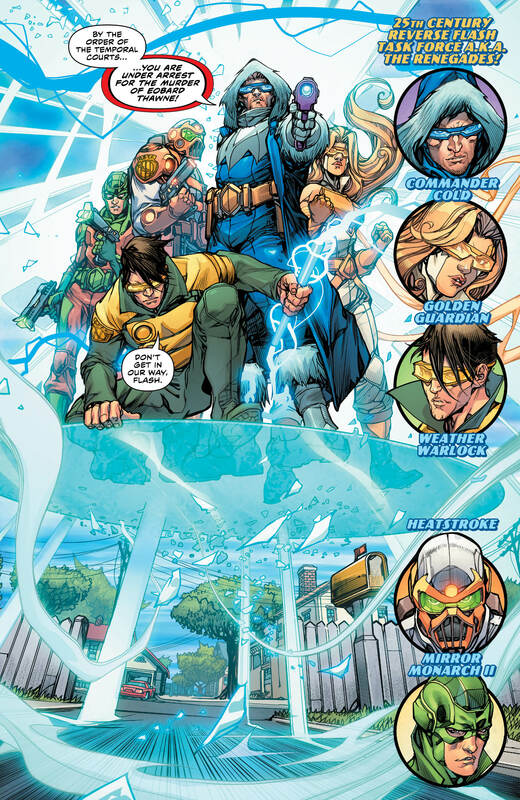 Wally has told Hunter repeatedly that he’ll never go back and manipulate time. But Barry has done that thing. There’s a really interesting dynamic there. Hunter and Barry are almost on the same page in certain things — so how does that clash with Wally? Major events to come following Flash War, is Barry a hypocrite? The post INTERVIEW: Josh Williamson Teases Huge Things to Come for Flash War appeared first on CBR.